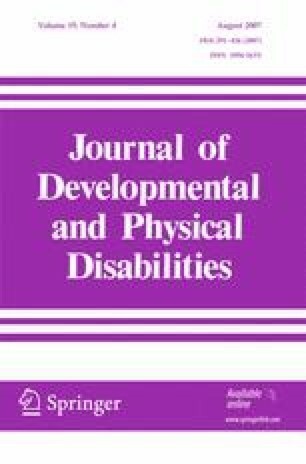 Research has shown that parents of children with special health care needs experience more parenting stress than parents of typically developing children, but the relation between the type of disability and parenting stress is far from clear (Stein 1988; Tew and Lawrence 1975; Breslau et al. 1982; Miller et al. 1992). To explore the relation between the type of disability and parenting stress, parenting stress data on the Parenting Stress Index (PSI) (Abidin 1995) and demographic information were collected from convenience samples of parents of four cohorts of children: children with ADHD, children with developmental disabilities, children with HIV infection and children with asthma, and typically developing children. Parents of children with attention deficit hyperactivity disorder (ADHD) and parents of children with developmental disabilities (DD) reported higher total stress than parents of HIV-infected, asthmatic, and typically developing children. Ethnicity did not explain any of the group differences, but caregiver’s language, education, employment status, and overall life stresses explained some of the group differences in parent-related domains. Level of stress in parents of children with special needs is determined by overall nature of the disorder, with the parents of children with ADHD and developmental disorders reporting higher levels of parenting stress than children with HIV infection, asthma, and healthy controls. This research was supported in part by project 5 H02 MC 00071 from the Maternal and Child Health Bureau (Title V, Social Security Act), Health Resources and Services Administration, Department of Health and Human Services. I wish to thank Paul Visintainer, PhD, Program Director of Health Quantitative Sciences, New York Medical College, for his guidance in statistical analysis. I wish to acknowledge the assistance given by Ms. Nayibe Manjarres, program coordinator, in recruiting subjects and entering data for this study.